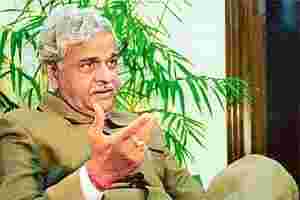 New Delhi: Coal minister Sriprakash Jaiswal is facing his worst crisis in his current office, as supply from Coal India Ltd (CIL) slackens and power plants clamour for more of the resource. There are other issues as well—of slow reforms, mismanagement at CIL, and threats from Maoist insurgents who hamper development. Why is there a severe shortage of coal? When will supply become normal? Maoist insurgents have been hampering CIL’s growth and there was talk of setting up a specialized force. Where does that stand? I had made such a request to (former) West Bengal chief minister Buddhadeb Bhattacharjee and the governor of Jharkhand. I said there should be a specialized force that can stop illegal mining, or they must make their police so competent and alert that they can stop illegal mining. Will you raise the proposal for specialized forces again? Of course. Coal has become an invaluable fuel for our country. That’s why the PM (Prime Minister Manmohan Singh) also worries about coal, and whenever problems come up, attempts are made to sort them. But our hands are tied as we have a federal system. If we don’t get cooperation from the state governments, what can we do? You have taken a big step by earmarking 54 coal blocks for being given away. One method is by auctions and the other by allocations, with the revenue going to the states. But at the same time, you will keep 100 blocks for CIL. Can you explain how this will work? The identification of coal blocks is almost over, in that we are identifying how many blocks Coal India wants to take and which ones. The first priority for us is Coal India. Second priority will be the government sector as these are our own government companies and our national needs are met through them. After this, the blocks that remain will go to private companies via a bidding process. They can’t take the blocks for open-market sale. It will be only for end use, and not commercial mining. This plan has almost reached conclusion. Why has there been segmentation? Why can’t all companies bid for the blocks? In our country, it is a mixed economy. The first priority is to be given to government companies. Within that, our first priority will be Coal India and state governments. What about the criticism you might face from private companies? They may say you are keeping the best of the blocks for a mismanaged company. Who is doing the maximum service to the nation? It is Coal India. Private companies will serve their own needs first. So you want the near monopoly of CIL to stay? The monopoly will definitely stay. CIL is such a big company. It has the responsibility of supplying coal to the full nation. So how can we break their monopoly? It is our responsibility that via CIL we give coal as much as we can to the entire nation. Do you think we should give the nation’s invaluable wealth to the private sector just like that? How much will CIL’s production be in 2011-12? Coal India will meet the target that it had set for itself. The problem seen in the last few months will be sorted. We have spoken to all CMDs (chairmen and managing directors) and trade union leaders. We have resolved all their issues. We have given them Diwali bonuses, also. At the same time, the issue of PLP (performance-linked pay) has been resolved. PLP will go to cabinet and a decision will be taken. Whatever be the PLP, I have told them to take 75% of it until cabinet takes a decision on it. As many as 16,000 officers will get PLP. The power sector needs 327 million tonnes (mt) of coal. Till September, 185 mt was given. Under present constrains, are you confident the shortfall will be met? This shortfall will be met. The Ashok Chawla committee on natural resources said independent mining firms can be brought for captive block auctions and work on a platform where transactions can take place. Where does this matter stand? It is under consideration and no decision has been taken. There is another proposal in the government that sector-wise companies will have to pay 30% higher prices determined by grades from April. Can you explain the rationale behind this? Every sector uses different grades of coal and, accordingly, prices differ. There is no proposal so far for any increase in pricing. The government has an Africa plan. It had a talk of capacity building under which Africa wanted to build institutions. Where does this stand? It is done. Mozambique had to give three training institutes. The land had to be given by their government; the rest we will establish. Coal India has agreed to this. The investment is ₹ 154 crore for three institutes. At the time of CIL’s initial public offering, it was said that the firm will build a power plant. Is this still being considered? The power plant on its own is a five-year plan. Yes, this plan is still on the board. The size of the plant and where it will be constructed has yet to be decided. CIL was in talks with three big overseas companies—Massey Energy Co., Peabody Energy Corp. and Sinar Mas—for stake purchases. Are talks still on? CIL is already talking to them. We are hopeful that in the next two-four months some decision can take place. Now, small companies in small countries and small companies in big countries can also be good candidates for CIL. Because the listed or non-listed companies’ acquisition won’t be an issue like before. What is the progress on the plan to set up a coal regulator? The process had been started one-and-a-half years ago. All the ministries gave their opinion and all the state governments gave their views. Those were compiled. Now it is with the law ministry. After this ministry gives its consent, it will go to the cabinet and then to Parliament. What is the deadline? Is there any scope of it moving in this fiscal year? If the law ministry does not raise any objections, then maybe in 15 days it could come to the cabinet. And if it comes to the cabinet, then maybe it can be presented to Parliament in the winter session. What is the main thing on your agenda for next year? I want to raise the production of coal, its offtake, and meet the requirement of the country. Will there be a restructuring of CIL and its subsidiaries? Restructuring is a constant. There is no specified restructuring at hand. There is no plan to merge any of the companies either.